For those of you who are recovering from a long weekend, I suspect there were times the thought behind this poster rang a bell and for some, getting back to work outside the home seems a blessing. Tip one: Instead of locking the kids up, I locked myself in the bathroom. Had to turn the radio up loud to dull the protests; headphones helped. One dear friend had children who had afternoon colic spells that nothing calmed. Finally, she learned to put him safely in his crib, and take to her garden with a book and a Walkman. Of course she kept the window open to his room and occasionally lifted her earphones to assure herself by his crying he was still alive. When the crying stopped she would return to the house peek in on him — he would be napping. Then she would take her nap and both would wake refreshed. Tip four: Quiet time is best used as me-time for parents. If you must work at something, make it something you will enjoy, otherwise indulge in a do nothing or do only for me respite. I nap, read, or do puzzles. Love Jay’s poster, but parenting isn’t easy. Nor is finding the me-time that keeps you safe. Making the effort matters and makes you able to soldier on through the difficult times without doing major damage to you or others. I hope you took advantage of my free eBook Twelve Easy Emotional Fitness Exercises to Tame Mad, Bad, and Sad feelings this weekend; if so and if you found it helpful, spread the word about it and my other books. See the side bar. All can be read on a Kindle or a computer using Amazon’s free reading apps. GOOD NEWS: My eBook ‘When Good Kids Hang Out With The Wrong Crowd‘ will be a free download on Amazon from Saturday June 1st to midnight Wednesday June 5th. The free download can be read on computers, laptops and other devices using Amazon’s free reading tools. If you do download it, consider posting a review; I’d really appreciate it. For all you do, thank you to help me and others, thank you. 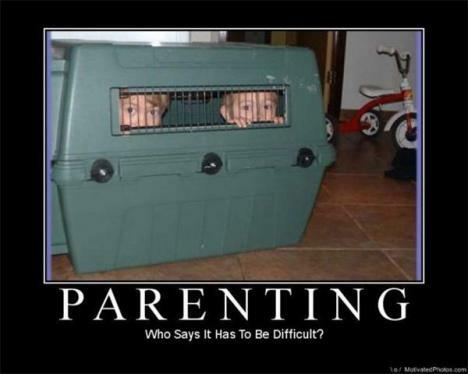 This entry was posted in Parenting Issues, When Good Kids Do Bad Things and tagged Emotional fitness, Emotional Fitness Training, emotional intelligence, Humor, Jay Solomon, Katherine Gordy Levine, laugh, postaday, Running away, The South Park Art of Zen. Bookmark the permalink.